Upper subtidal (Peter the Great Bay, Russia). 09 Mar 2012. O.S. Belous. © Contact: Eduard and Tamara Titlyanova (etitlyanov@mail.ru). 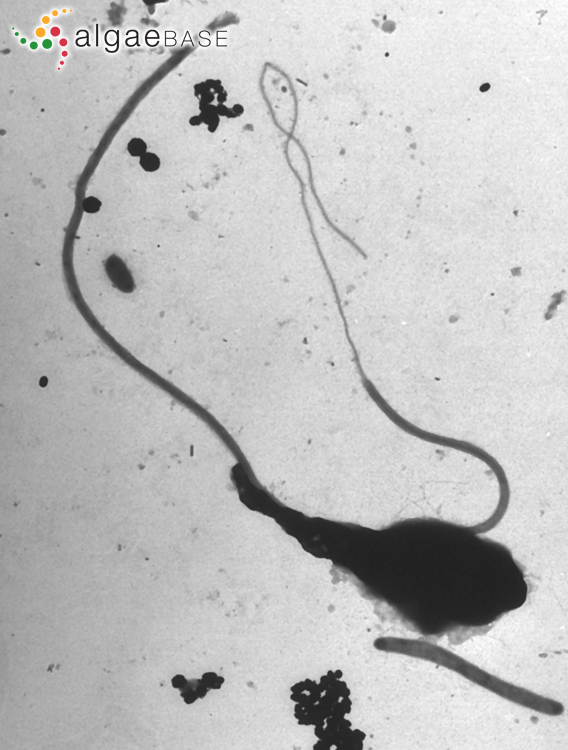 British Columbia; electron micrograph of sperm showing anterior rostrum (compare with proboscis of Fucaceae) and long posterior flagellum constructed of proximal 9+2 portion and distal portion formed by continuation of the 2 central microtubules of the a. Eric Henry. © Eric Henry (eric@reedmariculture.com). 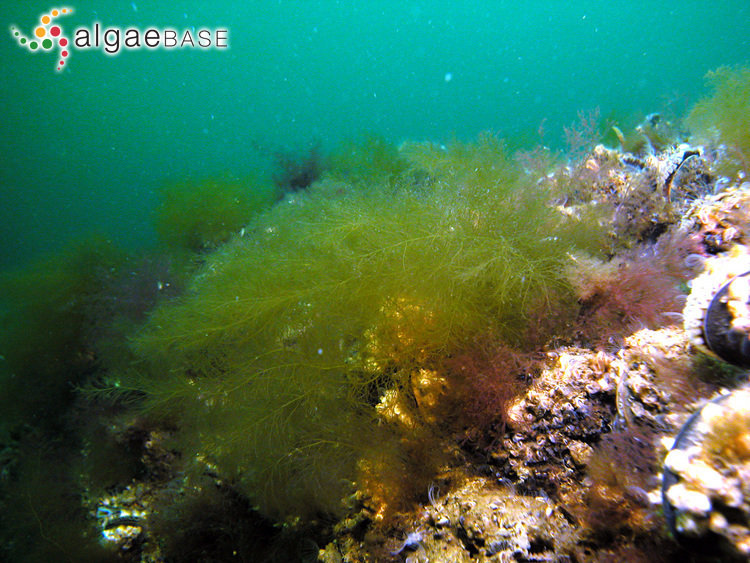 Lippe (Hohwacht), Kiel Bight, Baltic Sea, 3m depth. 22 Apr 2004. Dirk Schories. © Dirk Schories (dirk.schories@gmx.de). 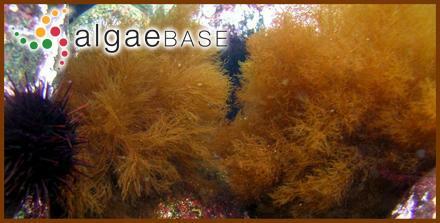 English: Sea sorrel (Dickinson 1963), Desmarest's Green Weed (Bunker et al. 2010). French: Oseille de mer (Dickinson 1963). Swedish: Mjukt käringhår (Tolstoy & Österlund 2003). Perestenko L.P. & Zakhodnova T.A. (2008). 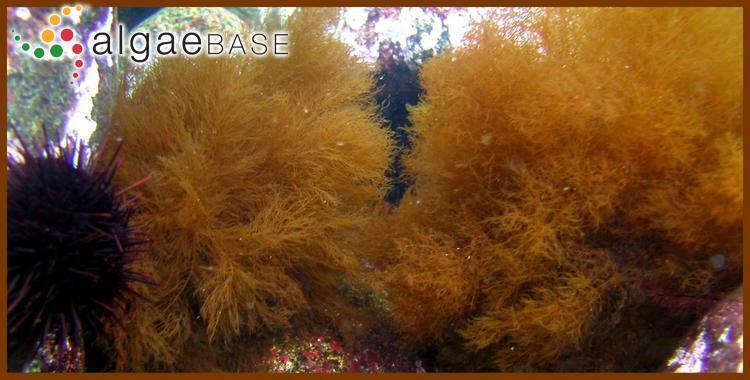 The genus Desmarestia (Phaeophyta, Desmarestiaceae) in the Far Eastern seas of Russia. Botanicheskii Zhurnal (St. Petersburg) 93(7): 1112-1117, 4 pls. Accesses: This record has been accessed by users 6237 times since it was created. Kornmann, P. (1962). Der Lebenzyklus von Desmarestia viridis. Helgoländer Wissenschaftliche Meeresuntersuchungen 8: 287-292. Kremer, B.P. (1973). Isolation of mannitol from Desmarestia viridis. Phytochemistry 12: 609-610. Oates, B.R. & Cole, K.M. (1990). 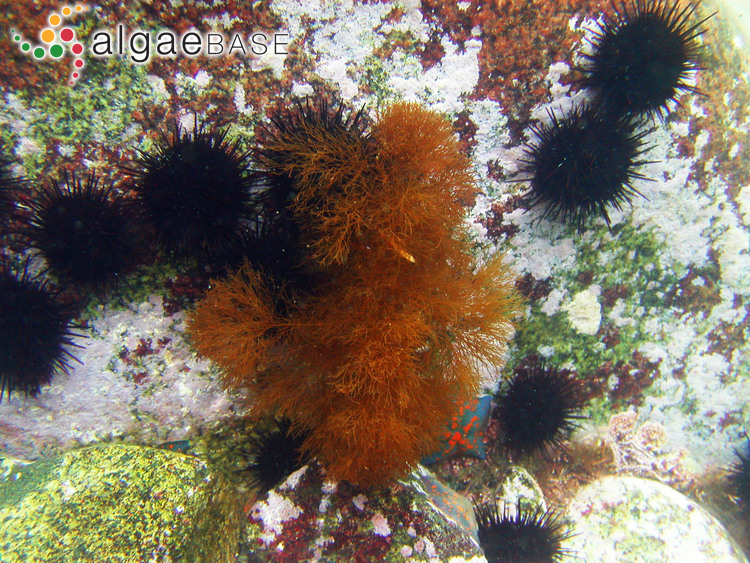 Cell-wall surface features on Desmarestia ligulata and D. viridis (Phaeophyta). Phycologia 29: 529-532.